Crappy Toolbars that take over your web browser can get into your system when installing many free software applications today. They change the start settings of your browser, take control about features and they often install malware. Most of these Toolbars won’t let you uninstall them properly. Instead they deeply integrate themselves into your system and even PC experts often have a hard time to fight them. 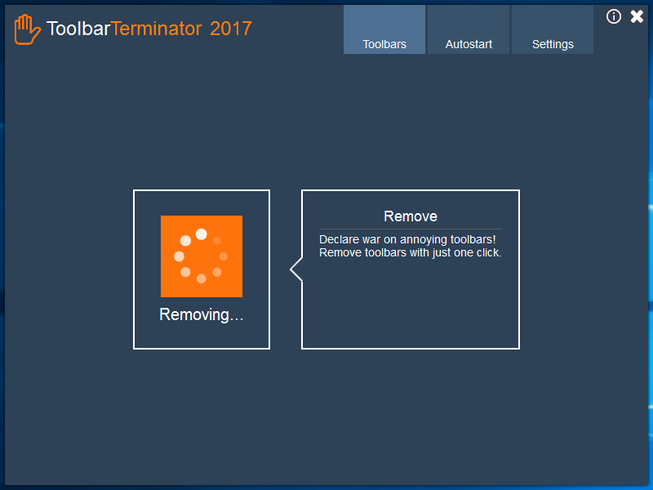 ToolbarTerminator has been developed by a team of experts with one goal: To fight back toolbars and to throw them out of your system. ToolbarTerminator can also remove unwanted applications that those toolbars have installed on your PC. All of the most used web browsers in the market are supported by ToolbarTerminator. ToolbarTerminator scans your system and shows you all browsers in an overview. ToolbarTerminator scans your PC for toolbars on each Windows start and shows you all of them in a neat dashboard allowing you to remove them easily. It perfectly protects your system against unwanted toolbars. Toolbars are constantly evolving and are re-appearing in new versions – similar to viruses. 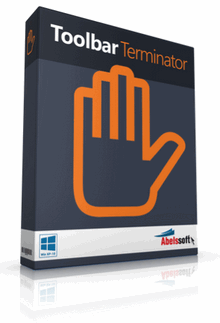 Abelssoft helps you to find them by keeping ToolbarTerminator up-to-date with its new “ToolbarDefinition” updates. This service is free of charge for you! Just relax and let ToolbarTerminator do the work for you. Toolbars that have been detected are shown in a neat dashboard and may be removed with just 1 simple click. We have developed a clean UI that allows you to clean your system without any expert knowledge. It really is that simple! Size: 3,43 / 6,46 MB.